What happens when you place 12 talented drummers in one live performance with a bunch of professional musicians? Find out on the 29th of March 2015, as Drumsens returns with its fourth event. Drumsens is a performance-based, interactive music studio providing high quality drum tutoring for all levels and ages. 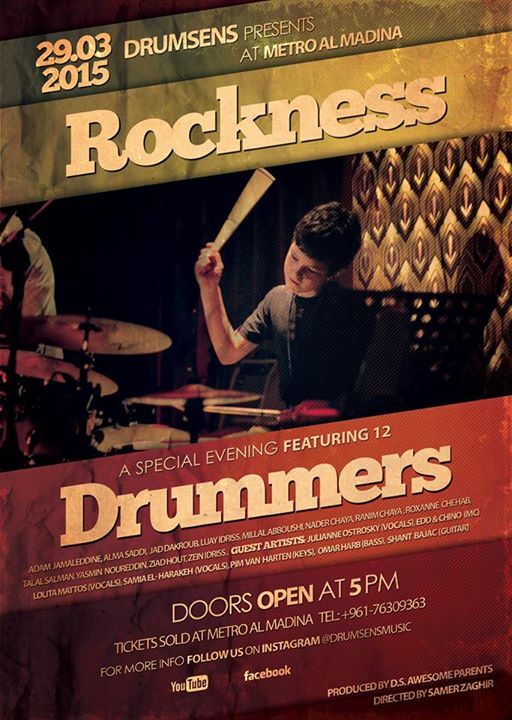 With more than a decade of successful experience in teaching music, Drumsens studio believes in indulging its young musicians in live performances, taking them from the lesson room and putting them right on stage, developing both their confidence and musicianship.